Hello! Thought i’d start off with a little skincare chat early in the month since lately it’s all been makeup, makeup and MORE makeup. I figured i’d make this a monthly practice so you know what’s being used behind the scenes when i’m too busy posting about makeup. So this month has finally been a more ‘settled’ month for me. I’ve been taking a lot of trips to the beach though, so some of the items here are pretty much SOS treatments my skin needs when I get back. I also wanted to talk about some things i’ve hauled from my last London trip and share my thoughts on those products too. Let’s start with some new favourites from Ettusais. Ettusais is a brand that’s mostly popular amongst the younger girls who are just starting out with a daily skincare routine (we are talking age 20-30). It’s mainly due to the fact that it’s a more affordable and budget friendly brand which is accessible to pretty much everyone. These two products I tried have been really nice, so I had to share with you. First up, the new 50+ UV Block Spray that was sent to me just in time for all my sunny holidays. I have already reached the last few pumps of this so I didn’t waste any time repurchasing. It’s that good. I find this product is superior to other spray type sunscreens as it doesn’t leave your skin feeling grossly oily. It also has a very nice fragrance and nothing like other similar sunscreens i’ve tried. Trust me, they don’t usually smell this good. The reason I like spray on sunblock is that they are so easy to apply. No need to get your hands dirty. One quick spray, and you are done! It’s also great if you want to do a quick spritz on your feet as well, so your toes are well protected. I basically use this on my entire body, face, arms, feet. It’s one of those products that you use and wonder, ‘where have you been all my life’?!!! 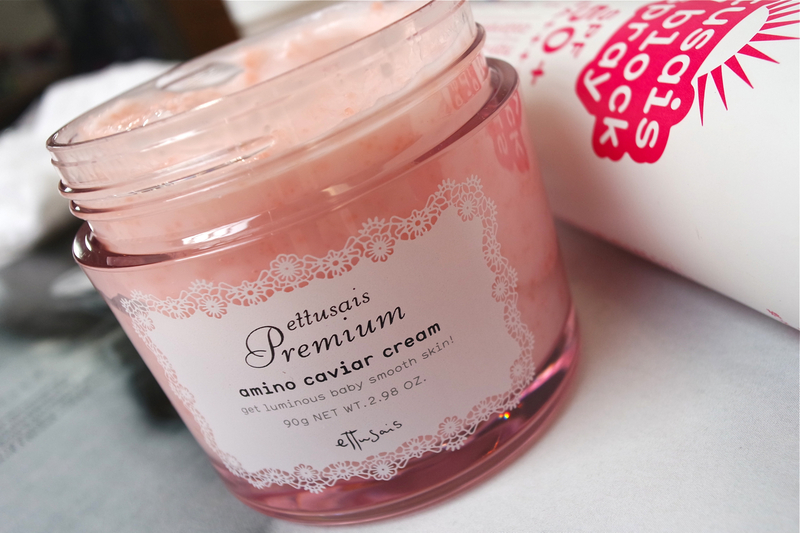 The next Ettusais product that’s been making an appearance in my skincare routine is the new Amino Caviar cream from the Ettusias Premium skincare line which targets those who are experiencing the very first signs of aging (ages 20-30). The name comes from the little caviar like beads you find in the cream. The texture is sooo intriguing! When applied, these beads break down and absorb immediately to the skin. 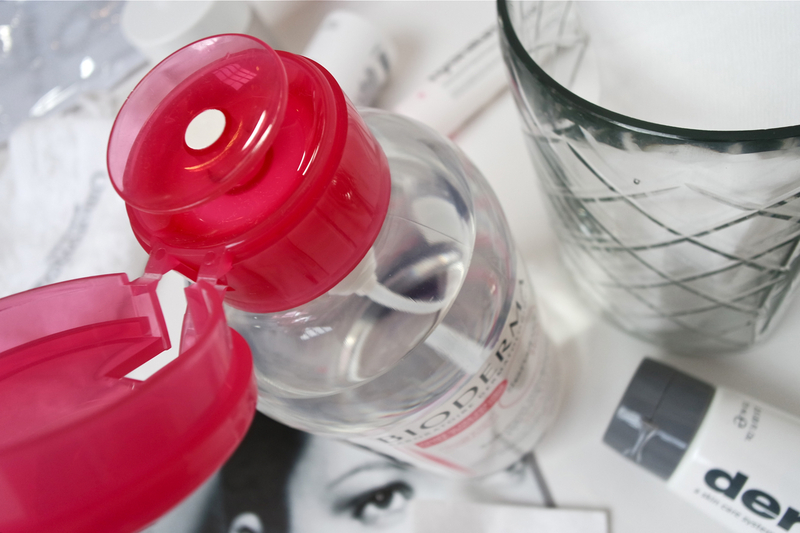 Hydrating the skin well. The light texture feels very refreshing and there’s no oilyness . Skin feels a bit tacky, but not uncomfortably tacky. It’s just the feeling of well hydrated skin. I find this cream great for the mornings, as it keeps skin bouncy and supple and well prepped for makeup. But for those who have oily or normal skin, this would be perfect for morning and nightly use as well. If you are just starting out using anti-ageing skincare, I highly recommend trying this out. It retails at a very attractive price, S$48! This product needs no introduction really, it’s basically every makeup artists backstage staple. Excellent for instantly taking off makeup without the use of water. To me this is the first step of my daily night time skincare routine, breaking down the first layer of makeup before I follow up with an oil or balm cleanser. I also love this for when I am doing swatch posts for the blog to clean my arms of any makeup between swatches. The reason I thought i’d feature this is…. now they sell the pump version in Singapore! Makes it so much more easier to use! I got mine from Changi Airport. It was just around 40 bucks for this extra large size which will actually last me a good while! Next batch is a couple of things I got myself in London. I know Dermalogica is widely available in SG, but at Selfridges they had a counter where the entire range is available. After my skin consultation I was given a generous sample of the Daily Microfoliant, something i’ve been wanting to try for a long long time. It’s a rice based exfoliant which is very gentle and suitable for daily use as the name suggests. Although I would use it a less frequently. The product itself is like powdered rice, and very fine, and is meant to be ‘activated’ when in contact with water and releases Rice Enzymes and Salicylic acid to gently buff away dead cells. I simply dispense some into wet hands and create a paste which I then use to exfoliate. Simple, speedy and effective. Next up, the Gentle Cream Exfoliant, which is actually one of the more potent chemical exfoliators I own. This is meant to go on like a mask and then washed off after the stipulated time. One thing I learnt when using this product is, to follow the instructions religiously. DO NOT leave it on longer than the suggested time, it WILL over exfoliate. I bring this out when my skin is feeling dull and congested. It immediately takes off any build up and leaves you with brighter, smoother skin. I would recommend this treatment every 4 days for oily skin types and around once a week for dry skin. Lastly, Hydraluron. Something of a cult favourite when it comes to hydration. It’s active ingredient is Hyaluronic acid which is known to help skin attract and hold moisture, essential for maintaining supple, healthy skin. This gel like serum absorbs instantly & completely, giving skin a burst of moisture. I then follow it up with a light hydrating lotion to lock in moisture levels or any treatment serum that I would be using on the day. The product pairs well with any other skincare that you are currently using so it doesn’t disrupt the benefits of those. Lastly, my go to hydrating mask. 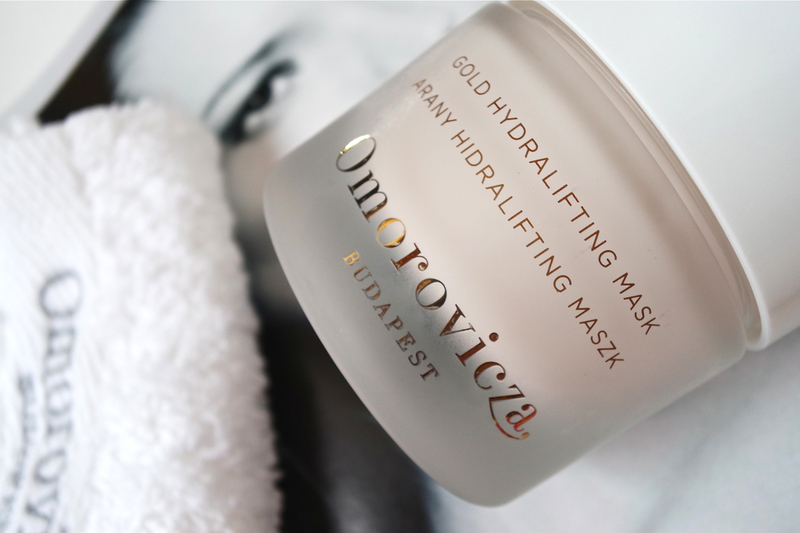 The Omorovicza Gold Hydralifting mask. This I use as a followup to any exfoliating or purifying treatments that I do, so that any moisture loss can be restored. 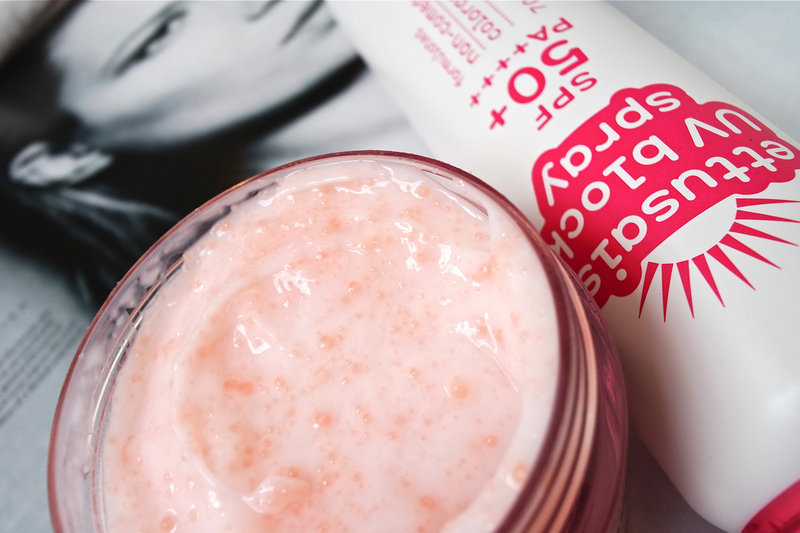 The soft rose scent is calming when applied, which adds to the whole experience of ‘pampering’ oneself. Luxurious from the packaging to the product. It’s something I truly feel is a treat and this never fails to get my skin feeling plump and hydrated. So there you have it, some products i’ve been loving lately. I hope you found it an informative read. So here I am again, talking about skincare! This time I want to do a little rave about my current best friend/hg cleanser, the Omorovicza Thermal Cleansing balm. 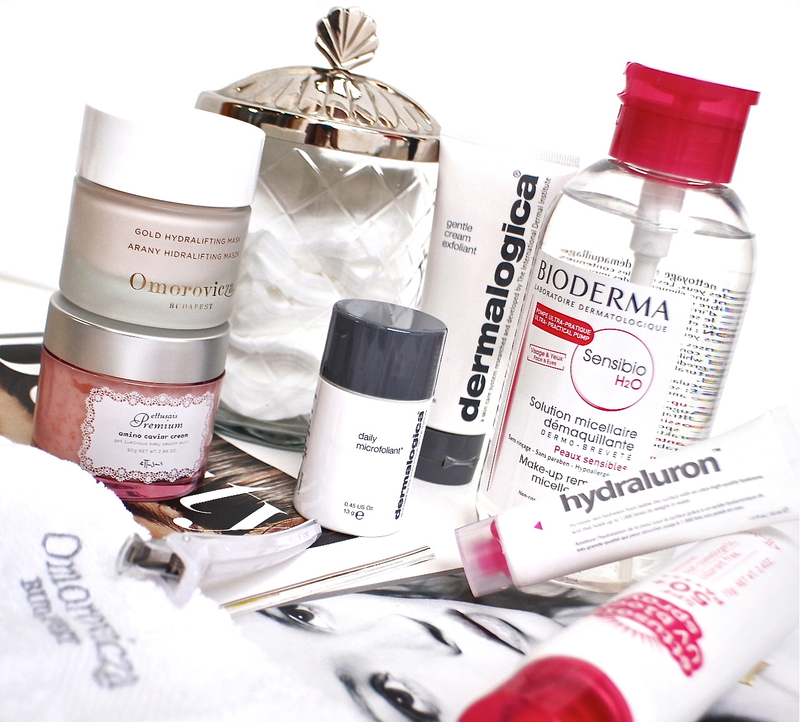 If you are a die-hard skincare junkie I’m sure you would’ve heard of Omorovicza. 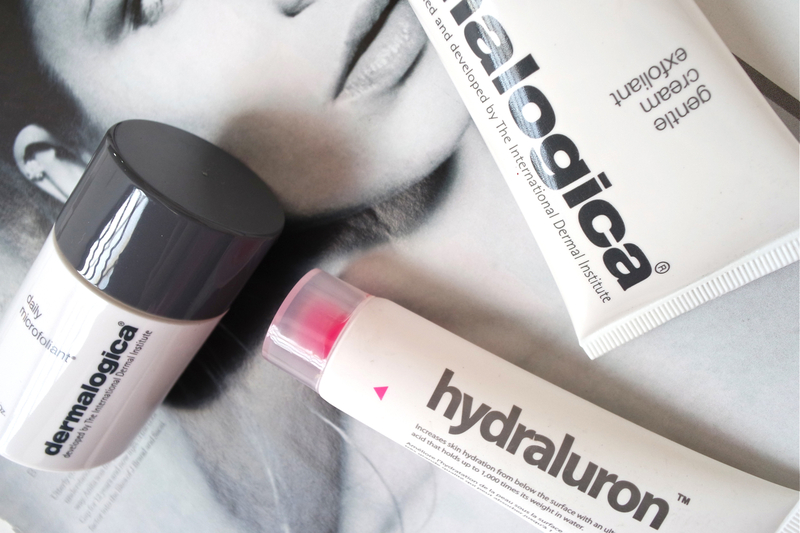 But in case you haven’t … Omorovicza is a luxury brand that comes from Hungary. Their skincare captures the healing and anti aging properties of the mineral rich thermal waters of this region and brings you skin care free of all the nasties – Parabens, Petrochemicals, Silicones, synthetic colours and synthetic fragrances. Plus! They don’t test on animals! Once interest was piqued, I initially wanted to try their famed Queen of Hungary mist, but since I was on the look out for a ‘proper’ cleanser, I decided to give this a go instead. First things first, let’s talk about the difference between a cleansing balm and a regular foaming cleanser or cleansing milk. To me, I feel a cleansing balm is not just cleansing, no wash and go allowed.. It’s more of a ritual. Time set aside to pamper yourself and indulging in a massage while you’re at it. The texture of a cleansing balm makes you do this, mainly cos there are no short cuts. 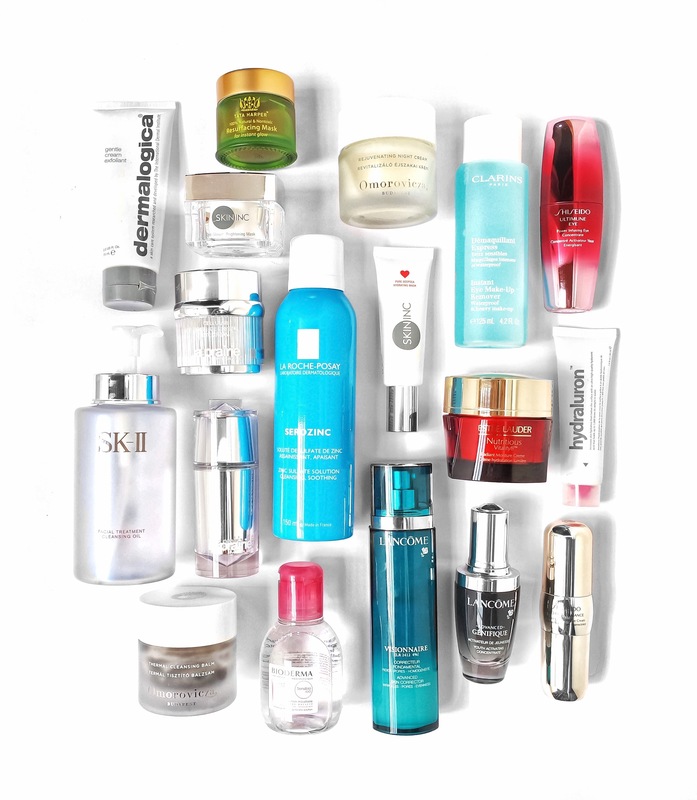 You really do need to work it into your skin, dissolve any makeup or impurities clinging to your skins surface. And once you are done, it’s essential that you use a muslin or a cleansing flannel and take everything off with warm water. The Omorovicza thermal cleansing balm is lighter in texture than that of Diptyque and comes in a heavy glass jar. Though it looks thick, once you dip your fingers in, it feels like a buttery thick gel that melts into a runnier form as your body heat warms it up. The little black particles (Minerals, mud) you see here never disintegrate, and they don’t feel abrasive, they are just there basically. Also as I mentioned above, Omorovicza products don’t contain any synthetic fragrances and their products are fragranced by natural scents crafted in Grasse. The scent of this balm is somewhat of a spa scent, I’d say citrusy and refreshing, it’s orange blossom actually, which brings this feeling of tranquility and wellness. Overall it’s more than just a cleanser. Although it’s marketed as a makeup remover/cleanser all in one (which it is actually and takes off even the most stubborn eye makeup without any discomfort) I like to use this after my makeup has been removed with a water cleanser like Bioderma. I feel the skincare properties of this won’t be wasted that way, slathering a $100+ product to remove makeup! Really??!!! Once the product is washed off I love how moist and supple my skin feels. And I’d go as far as saying I never knew what deeply cleansed skin felt like till using a cleansing balm! It really took ‘cleansing’ to another level!!! My skin cleared up greatly while using this, and have less white and blackheads and also ZERO breakouts. The daily deep cleaning ensures no gunk accumulates in your pores and healthy skin is what you are left with. So that being said. I guess I should also mention, those of you who like the feeling of squeaky clean skin won’t love this. It leaves a slight, oily film on your face (The product contains Sweet Almond oil, and as you might know almond oil is a carrier oil used in massage, which has moisturizing and nourishing properties) so I’d recommend this to those with oily skin but don’t mind oily residue and also to everyone with normal to dry skin. *According to the Omorovicza site, this product is suitable for sensitive skin types as well. Lastly, the price factor. It’s not cheap. But would I repurchase? YES! I plan to repurchase this over and over and over.. it’s something I can’t live without at this point. And as someone who enjoys a bit of luxury in their lives I’d highly recommend this to anyone who is willing to spend over a $100 for a cleanser. I purchased mine through Net-a-Porter.